I don’t feel like thinking of anything to say. So here’s a photo. 1. This is what I look like after an 11-hour work day. 2. I am wearing red stilettos. 3. That sweater is pregnancy hiding magic. 4. Black really, truly is slimming. 5. 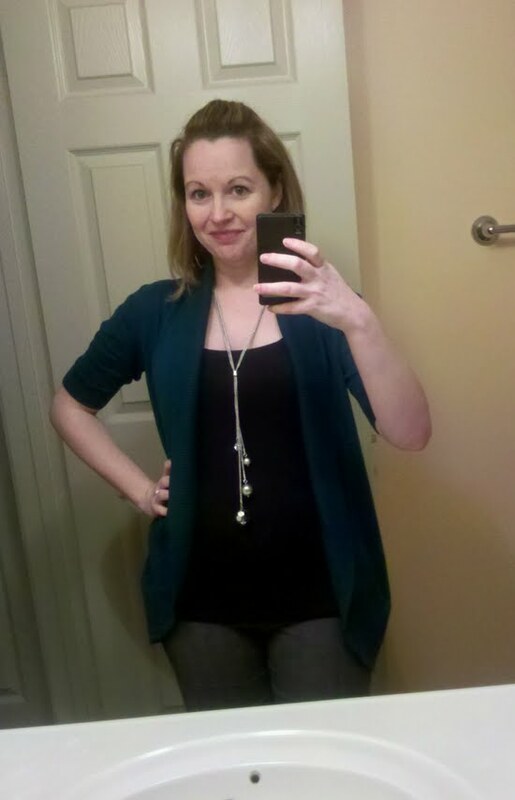 I am 26 weeks as of…now. 6. I took a side photo to prove I had a belly but my phone decided to delete it and I didn’t notice until right now. Not last night when I could have retaken it. SO USE YOUR IMAGINATIONS. 7. And that’s all I’ve got.